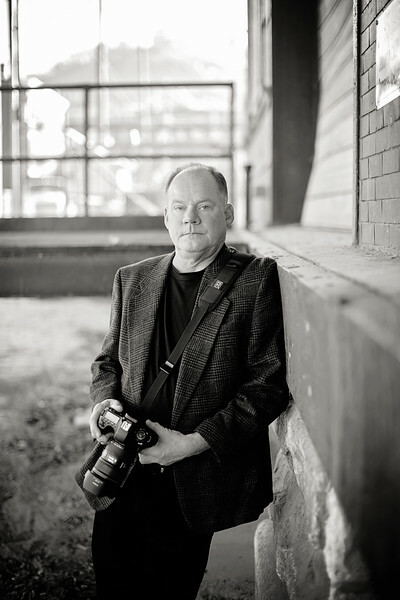 Scott McHenry is a Cincinnati based photographer and owner of Scott McHenry Photography. Scott has won numerous awards for his photography and has been published in books, magazines, newspapers and web sites. He started as a sports action photographer and has branched out into fine art, portraiture, and commercial work. My photographic style is diverse and eye-opening. My photography is not limited to a particular category; instead I embrace a diverse range of subjects. I photograph places as if I am seeing them for the first time no matter how familiar they are to me or the potential viewer. I use street photography of people to show insight, compassion and inner beauty. My goal is to change the ordinary into the extraordinary through use of unique perspectives and vibrant imagery. My work is done in both color and black and white to create the appropriate emotion, texture, and atmosphere for each subject. I continually strive to capture the everyday life around us, whether it is people, places, or nature in ways that are visually insightful to the viewer.